We had a nice stay at this campground. 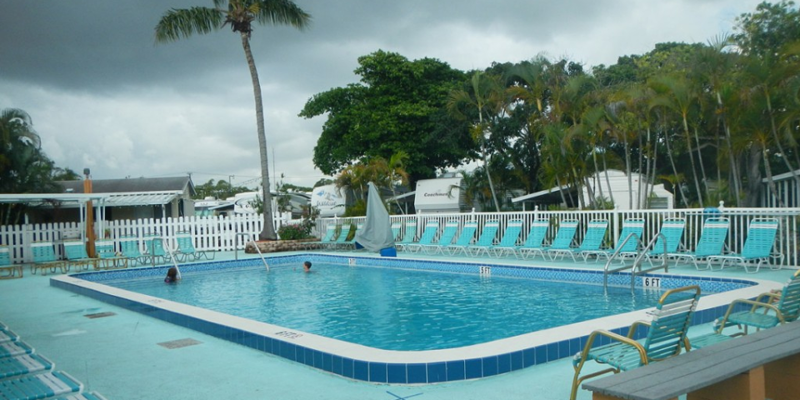 Paradise Island RV Resort is centrally located and just off I-95 (and only a few miles from I-75), so you have easy access to all the nearby attractions and points of interest in the Fort Lauderdale/Miami area. The campground is a little old but it is well maintained. Campsites are a bit tight if you have a large rv, but we managed OK. The facilities are clean and the people are friendly. Amenities include a heated pool, two clubhouses, a game room, a fitness center and laundry. We stayed here this winter and would return, if we head back to southern Florida.